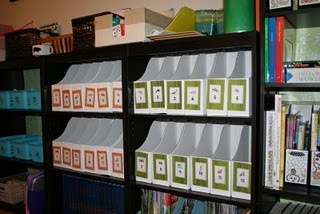 Julie uses magazine files instead of tubs so all twelve boxes can neatly fit on 2 shelves. Work boxes have taken over and I am ever so thankful for Sue Patrick for writing a book about the concept!!! I do love them!! They have been so easy for us to use and just throw into our school day and make it better!!! 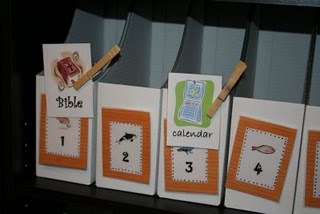 Follow this link to read more about Julie's workboxes.